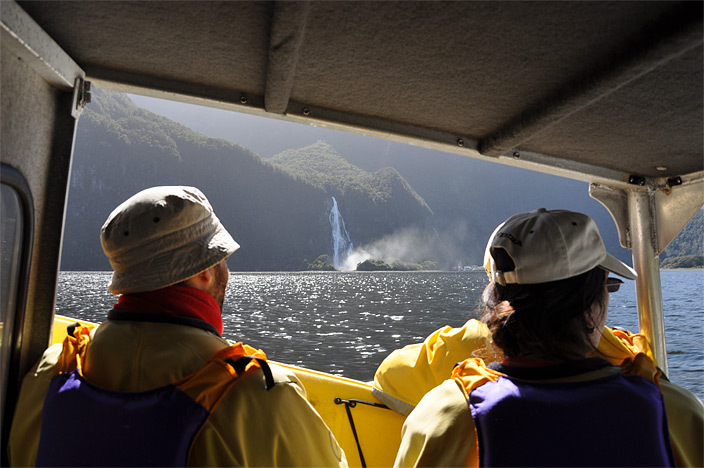 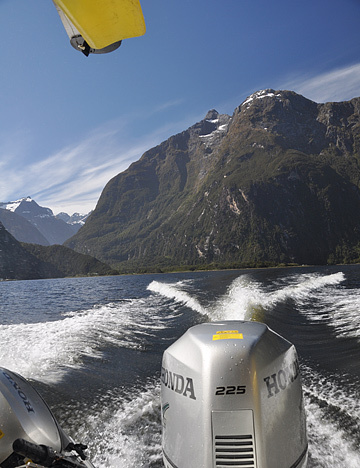 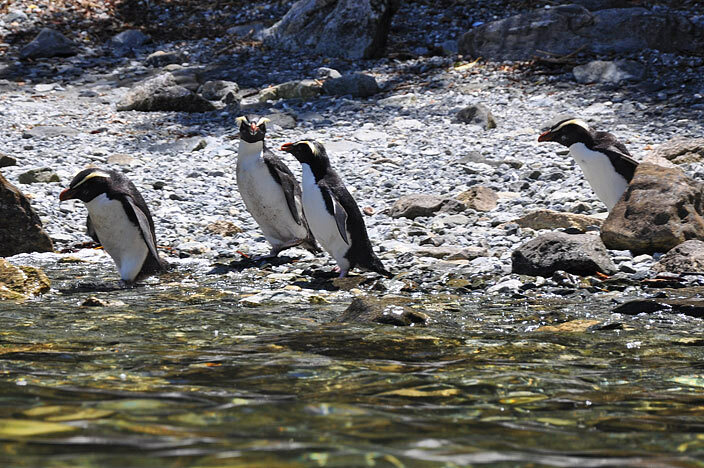 No trip to the Fiordland National Park is complete without a visit to one of the stunning fiords. 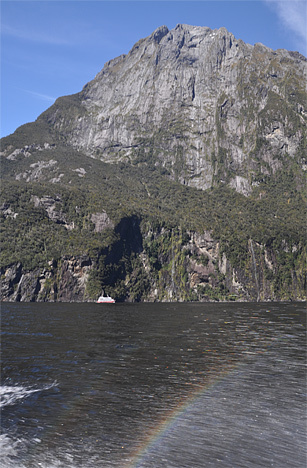 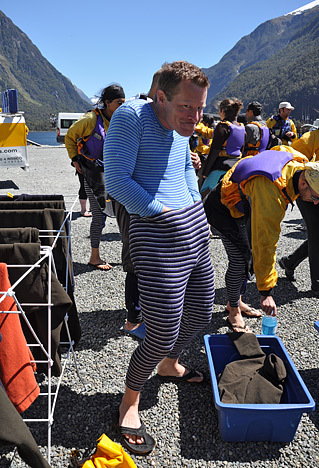 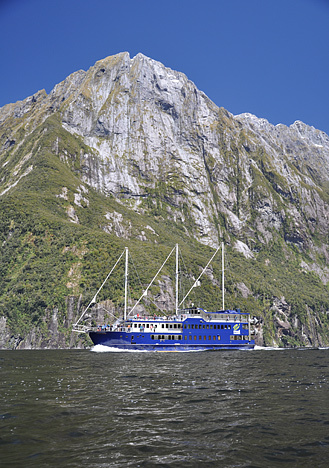 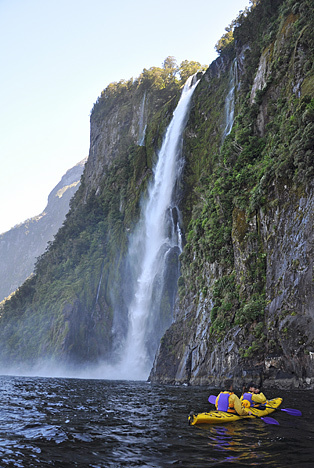 Milford Sound is probably the best known with Doubtful Sound coming a close second. 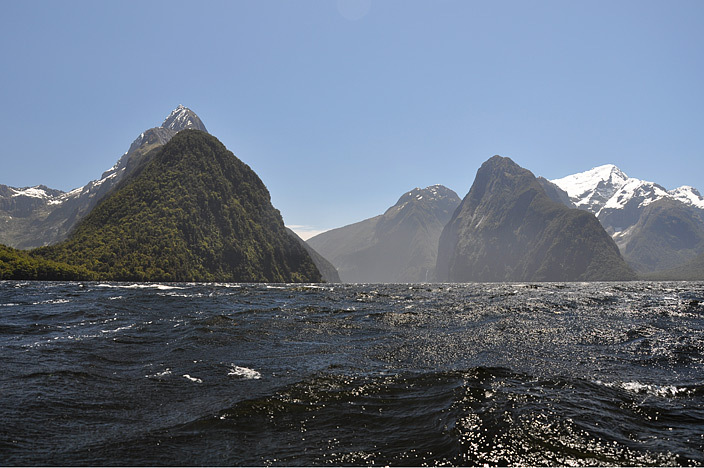 Despite their names, both are technically fiords rather than sounds due to being created by glacial activity. 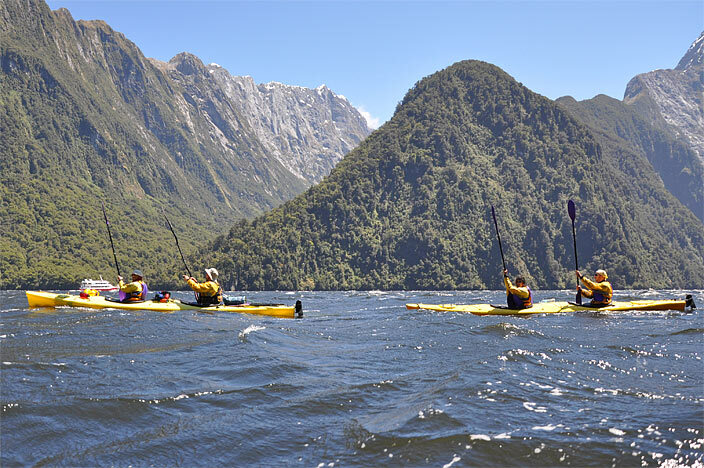 We were originally interested in doing a multi-day kayak / camping trip on Doubtful since many locals recommended this over Milford. 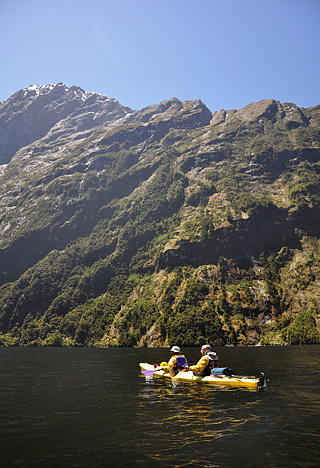 However, due to lack of time, we opted for the Stirling Sunriser day trip offered by primo local outfit Rosco's Milford Kayaks. 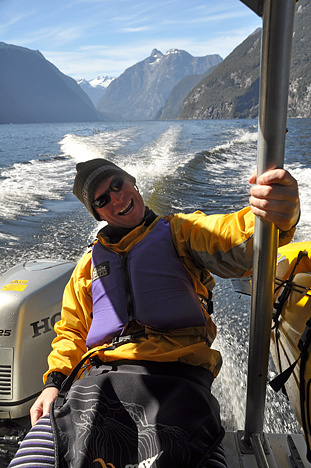 The best part about this particular trip is that you are transported by boat half way up the fiord and you paddle all the way back taking in the natural highlights along the way. 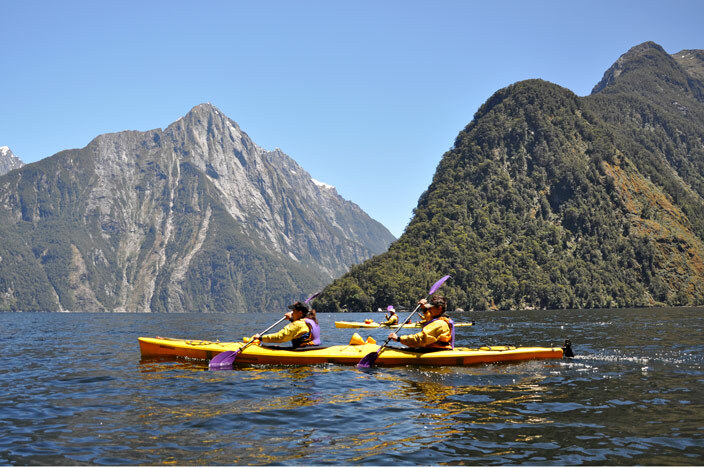 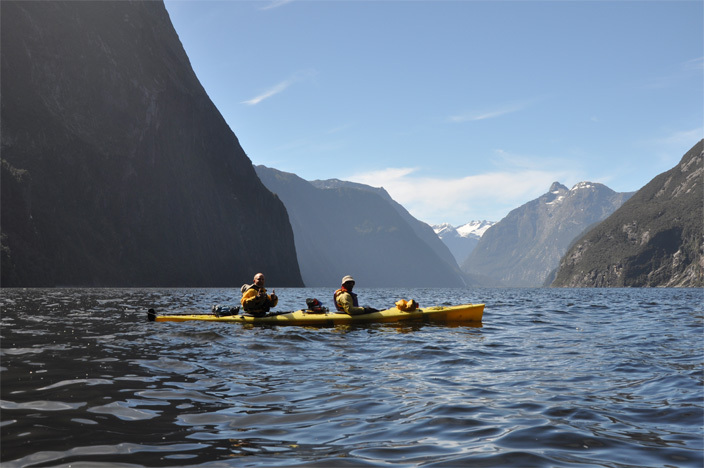 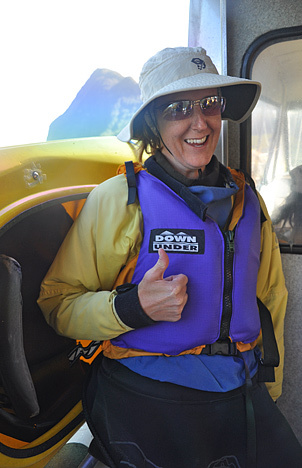 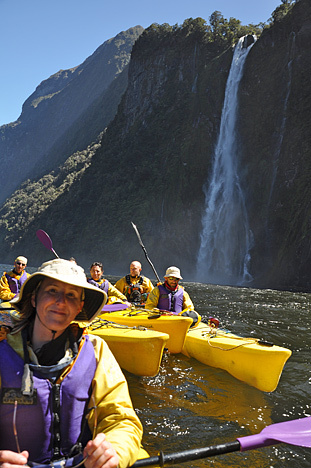 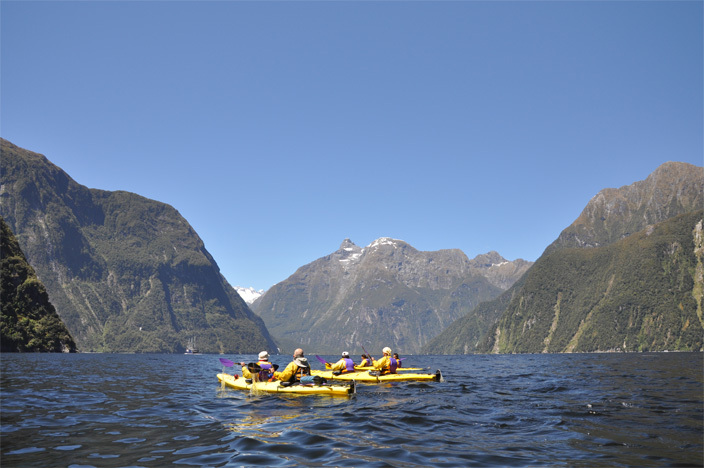 This is in contrast to the standard kayak trips that paddle a circuit from the port and don't make it to the stunning views of Stirling Falls and the side profile of Mitre Peak. 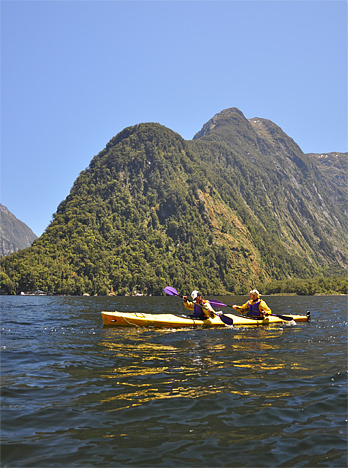 We couldn't have been any luckier with the weather. 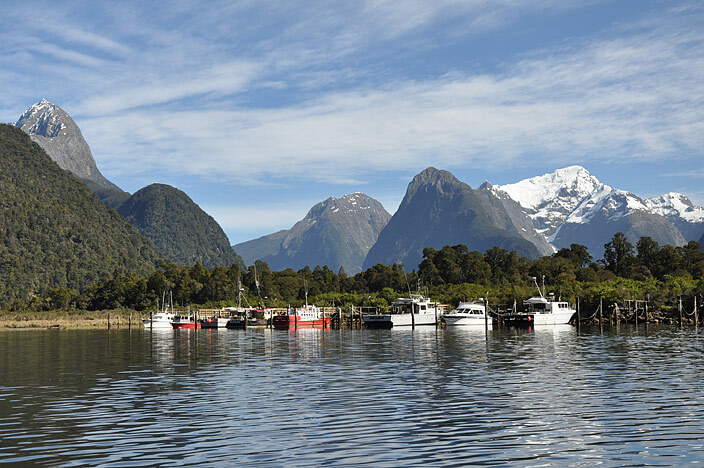 Gorgeous clear blue skies for most of the day. 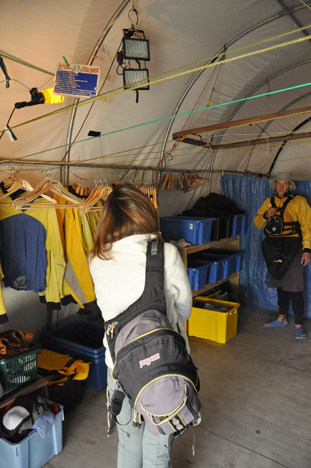 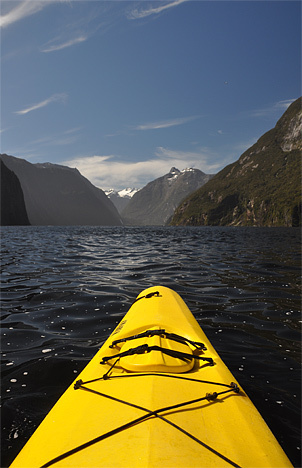 The wind picked up by late morning which made paddling across the open fiord a daunting challenge. 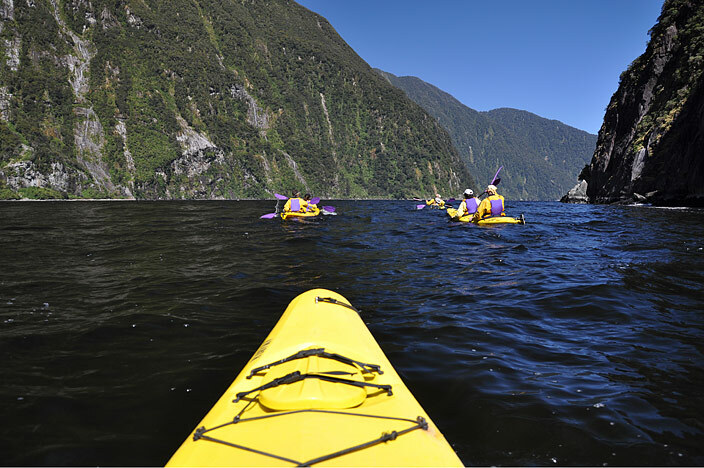 Having some previous experience kayaking, we managed to power through the waves okay and avoid a dunking. 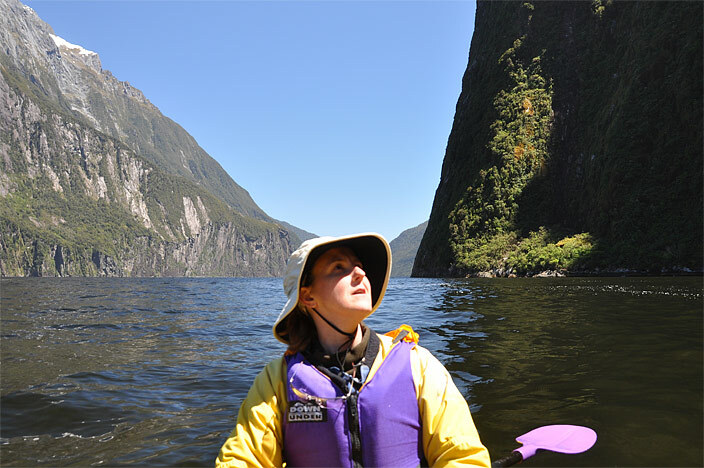 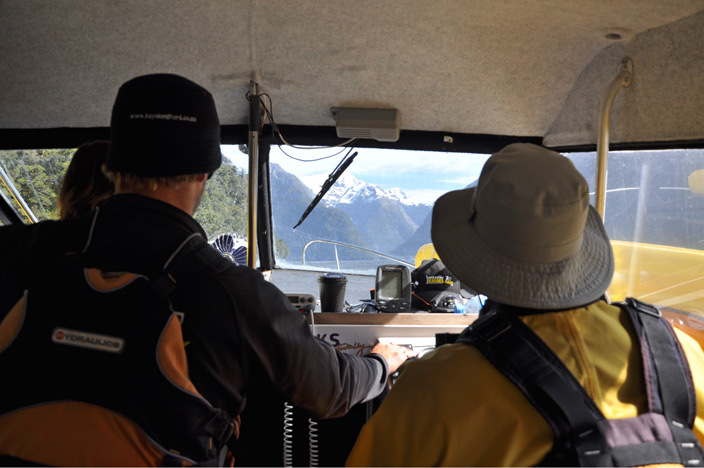 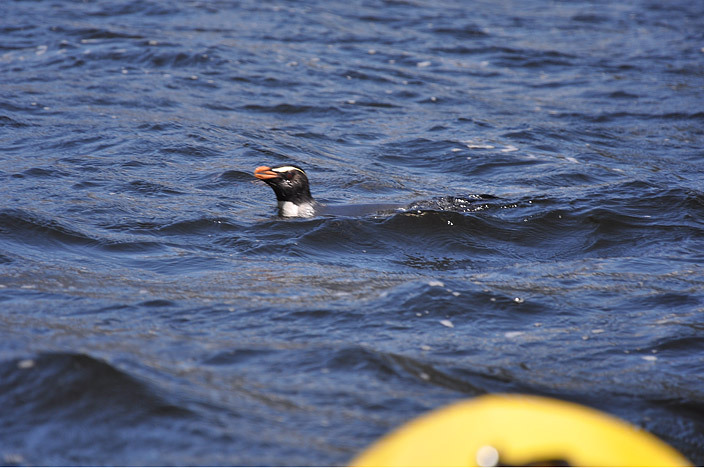 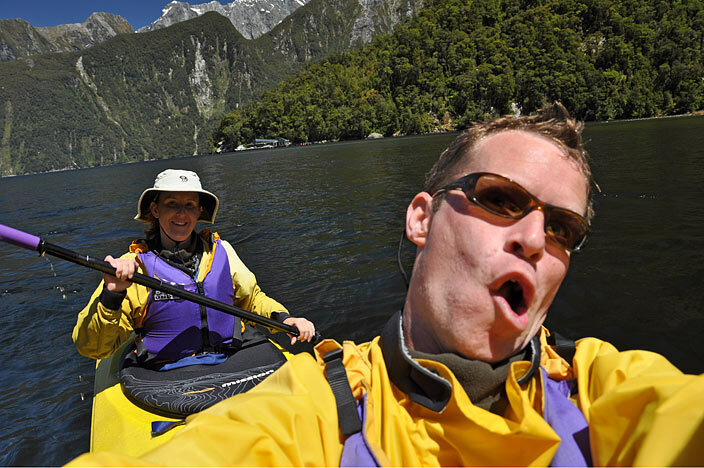 Viewing the fiord from the seat of a kayak is a magical way to experience it. 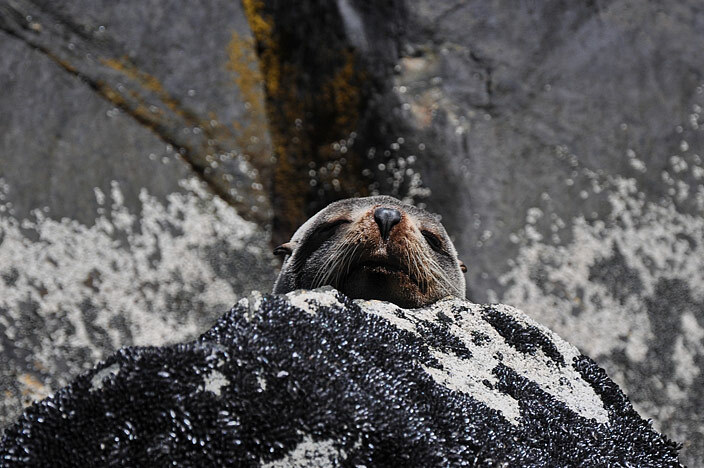 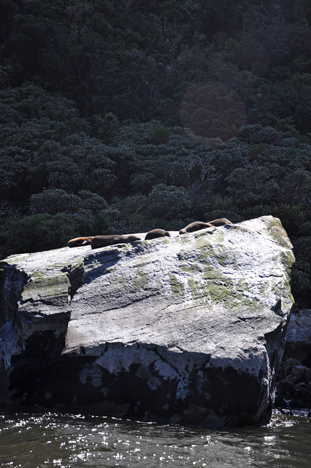 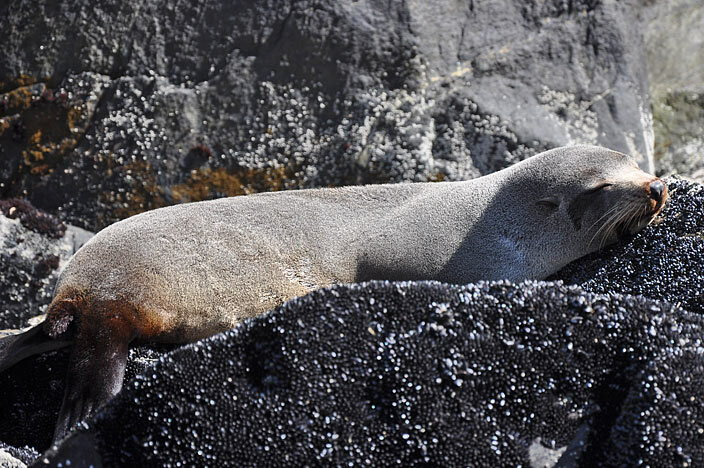 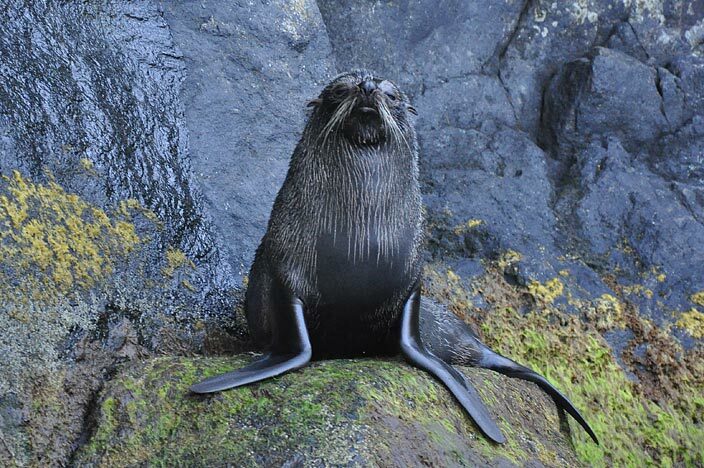 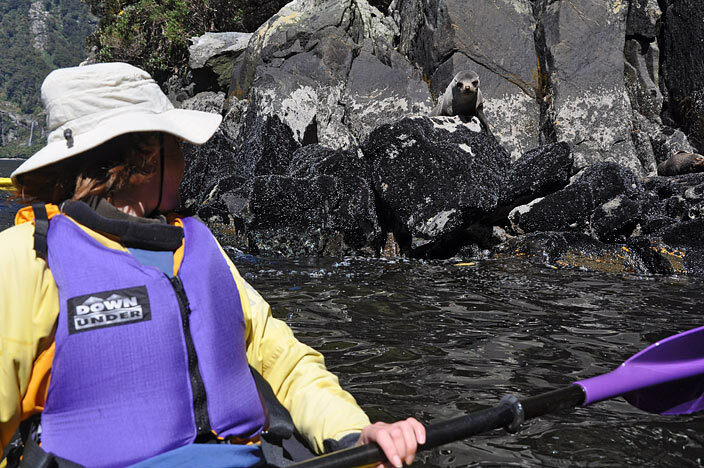 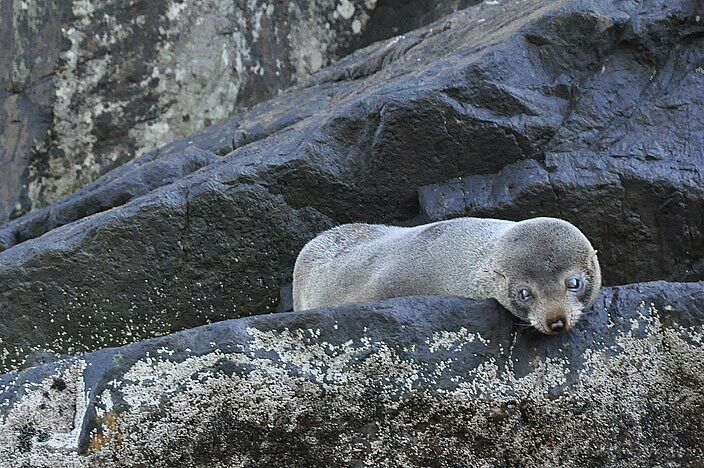 The ability to get up close to the seals and penguins is a big bonus over the tourist boat trips. 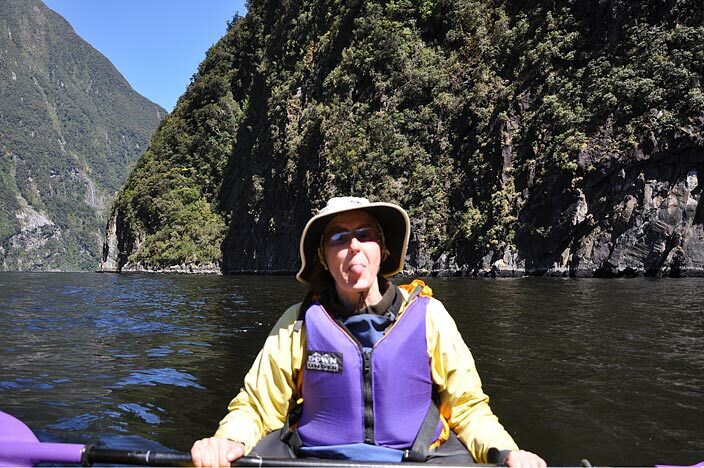 Also, you know my feelings on the importance of peace and quiet in these spectacular wilderness areas. 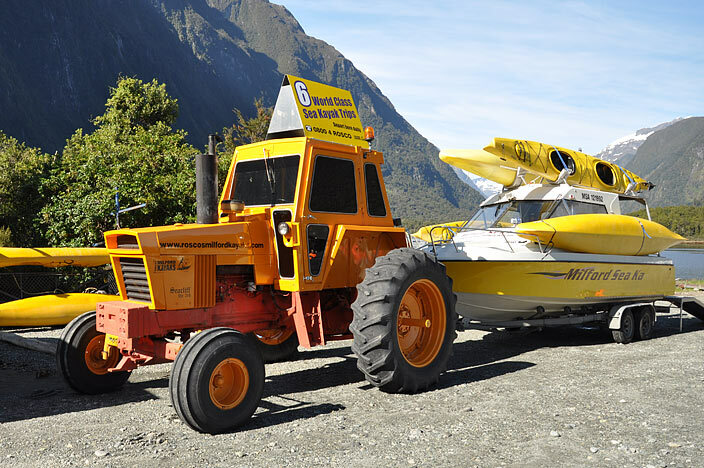 The two should go hand in hand!